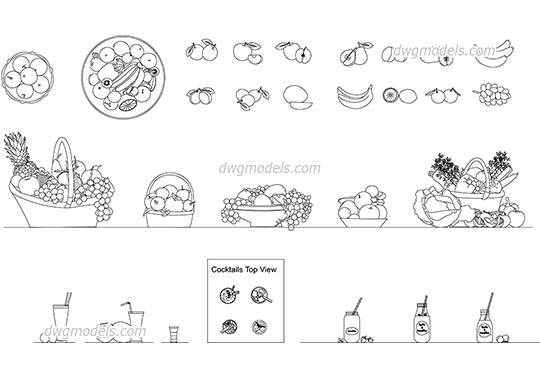 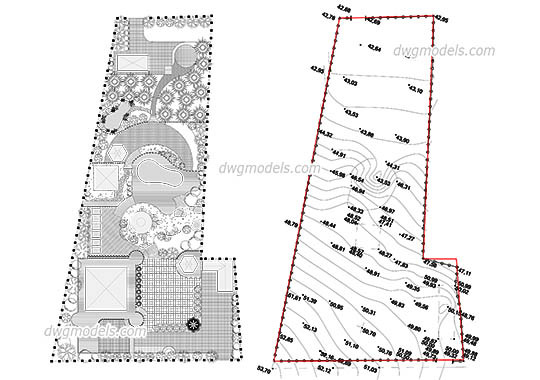 Cocktails download DWG free, 2D CAD drawings for kitchen, restaurant design. 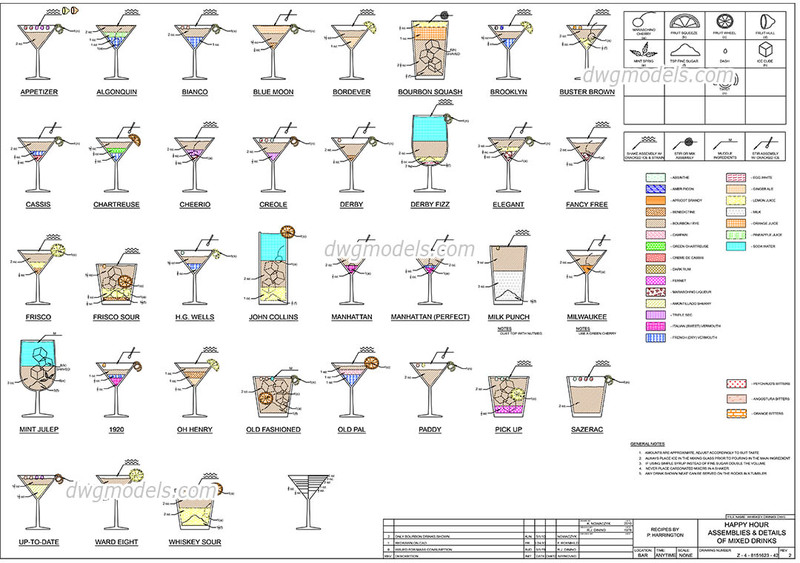 Mixed drinks in AutoCAD - Appetizer, Blue Moon, Bordever, Brooklyn, Buster brown, Cassis, Chartreuse, Cheerio, Creole, Derby, Derby Fizz, Elegant, Fancy free, Frisco, Frisco sour, H.G. 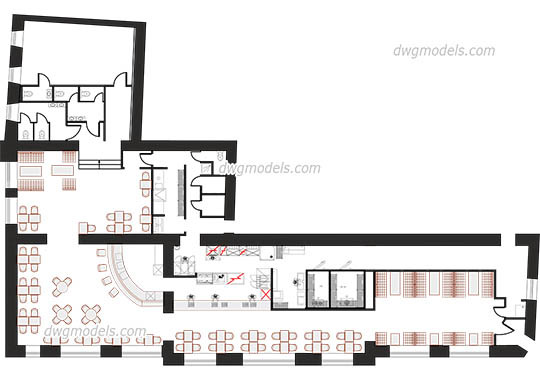 Wells, John Collins, Manhattan, Manhattan Perfect, Milk punch, Milwaukee, Mint Julep, 1920, Oh Henry, Old Fashioned, Old Pal, Paddy, Pick Up, Sazerac, Up-to-date, Ward Eight and more. 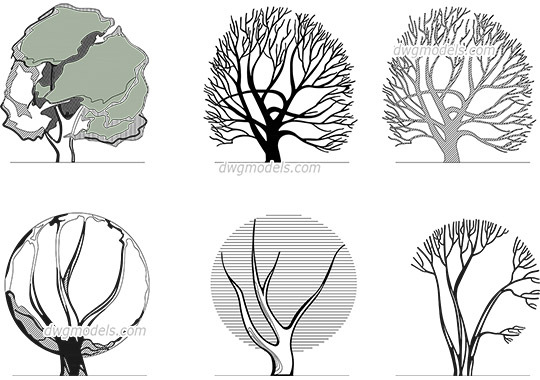 These Cad blocks can be used in your restaurant, kitchen, bar design.